The goal of this document is to describe the Functest test cases as well as provide a procedure to execute them. A presentation has been created for the first OPNFV Summit . This document is a continuation of the Functest Configuration Guide``_ and it is assumed that the Functest Docker container is properly deployed. IMPORTANT: All the instructions described in this guide must be performed inside the container. The current list of test suites can be distributed in 3 main domains: VIM (Virtualised Infrastructure Manager), Controllers and Features. Functest includes different test suites with several test cases within. Some of the tests are developed by Functest team members whereas others are integrated from upstream communities or other OPNFV projects. For example, Tempest is the OpenStack integration test suite and Functest is in charge of the selection, integration and automation of the tests that fit in OPNFV. The Tempest suite has been customized but no new test cases have been created. The results produced by the tests run from CI are pushed and collected in a NoSQL database. The goal is to populate the database with results from different sources and scenarios and to show them on a Dashboard. There is no real notion of Test domain or Test coverage. Basic components (VIM, controllers) are tested through their own suites. Feature projects also provide their own test suites with different ways of running their tests. Most of the tests are runnable on any combination, but some others might have restrictions imposed by the installers or the available deployed features. The different test cases are described in the section hereafter. This test can be considered as an “Hello World” example. It is the first basic use case which shall work on any deployment. When the second VM boots it will execute the script passed as userdata automatically and the ping will be detected capturing periodically the output in the console-log of the second VM. Functest uses Rally  to run the Tempest suite. Rally generates automatically the Tempest configuration file tempest.conf. Before running the actual test cases, Functest creates the needed resources (user, tenant) and updates the appropriate parameters into the configuration file. When the Tempest suite is executed, each test duration is measured and the full console output is stored in a log file for further analysis. As an addition of Arno, Brahmaputra runs a customized set of Tempest test cases. The list is specificed through –tests-file when executing the Rally command. This option has been introduced in the version 0.1.2 of the Rally framework. The goal of the Tempest test suite is to check the basic functionalities of the different OpenStack components on an OPNFV fresh installation using the corresponding REST API interfaces. A basic SLA (stop test on errors) have been implemented. Promise provides a basic set of test cases as part of Brahmaputra. Add a new OpenStack provider into resource pool: Registers OpenStack into a new resource pool and adds more capacity associated with this pool. Allocation without reservation: Creates a new server in OpenStack and adds a new allocation record in Promise shim-layer. Allocation using reservation for immediate use: Creates a resource reservation record with no start/end time and immediately creates a new server in OpenStack and add a new allocation record in Promise shim-layer. Reservation for future use: Creates a resource reservation record for a future start time, queries, modifies and cancels the newly created reservation. Capacity planning: Decreases and increases the available capacity from a provider in the future and queries the available collections and utilizations. Reservation with conflict: Tries to create reservations for immediate and future use with conflict. Cleanup test allocations: Destroys all allocations in OpenStack. Many telecom network functions are relying on layer-3 infrastructure services, within a VNF between components, or towards existing external networks. In many cases, these external networks are implemented in MPLS/BGP technology in existing service provider wide-area-networks (WAN). This proven technology provides a good mechanism for inter-operation of a NFV Infrastructure (NFVI) and WAN. If any of the above steps is missing please refer to the Functest Config Guide as they are a prerequisite and all the commands explained in this section must be performed inside the container. The script run_tests.sh launches the test in an automated way. Although it is possible to execute the different tests manually, it is recommended to use the previous shell script which makes the call to the actual scripts with the appropriate parameters. Script to trigger the tests automatically. 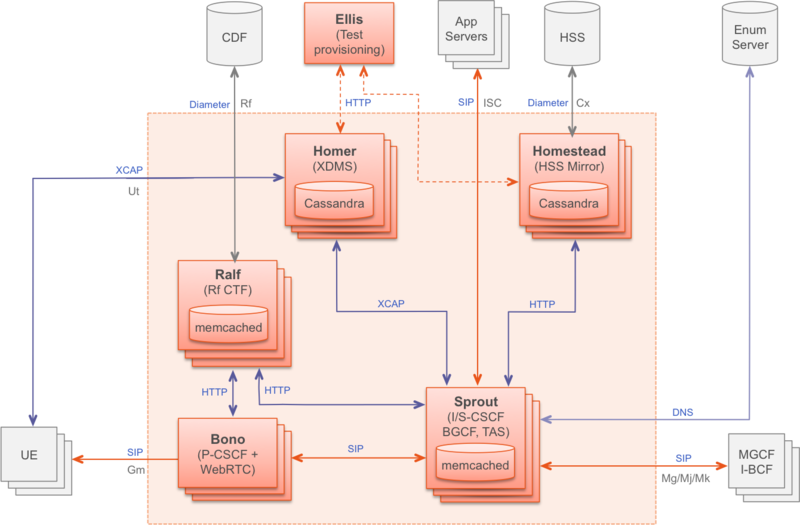 The -r option is used by the OPNFV Continuous Integration automation mechanisms in order to push the test results into the NoSQL results collection database. This database is read only for a regular user given that it needs special rights and special conditions to push data. Please note that for some scenarios some test cases might not be launched. Functest calculates automatically which test can be executed and which cannot given the environment variable DEPLOY_SCENARIO to the docker container. A single or set of test may be launched at once using -t <test_name> specifying the test name or names separated by commas in the following list: [vping_ssh,vping_userdata,odl,onos,rally,tempest,vims,promise,doctor]. Functest includes cleaning mechanism in order to remove all the OpenStack resources except what was present before running any test. The script $repos_dir/functest/testcases/VIM/OpenStack/CI/libraries/generate_defaults.py is called once by prepare_env.sh when setting up the Functest environment to snapshot all the OpenStack resources (images, networks, volumes, security groups, tenants, users) so that an eventual cleanup does not remove any of this defaults. The -n option is used for preserving all the possible OpenStack resources created by the tests after their execution. The -s option forces execution of test cases in a single thread. Currently this option affects Tempest test cases only and can be used e.g. for troubleshooting concurrency problems. The script clean_openstack.py which is located in $repos_dir/functest/testcases/VIM/OpenStack/CI/libraries/ is normally called after a test execution if the -n is not specified. It is in charge of cleaning the OpenStack resources that are not specified in the defaults file generated previously which is stored in /home/opnfv/functest/conf/os_defaults.yaml in the docker container. It is important to mention that if there are new OpenStack resources created manually after preparing the Functest environment, they will be removed if this flag is not specified in the run_tests.sh command. The reason to include this cleanup meachanism in Functest is because some test suites such as Tempest or Rally create a lot of resources (users, tenants, networks, volumes etc.) that are not always properly cleaned, so this function has been set to keep the system as clean as it was before a full Functest execution. As mentioned previously, the prepare-env.sh and run_test.sh can be called within the container from Jenkins. There are 2 jobs that automate all the manual steps explained in the previous section. One job runs all the tests and the other one allows testing test suite by test suite specifying the test name. The user might use one or the other job to execute the desired test suites. One of the most challenging task in the Brahmaputra release consists in dealing with lots of scenarios and installers. Thus, when the tests are automatically started from CI, a basic algorithm has been created in order to detect whether a given test is runnable or not on the given scenario. Some Functest test suites cannot be systematically run (e.g. ODL suite can not be run on an ONOS scenario). At the end of the Functest environment creation, a file /home/opnfv/functest/conf/testcase-list.txt is created with the list of all the runnable tests. Functest considers the static constraints as regular expressions and compare them with the given scenario name. For instance, ODL suite can be run only on an scenario including ‘odl’ in its name. As explained before, at the end of an automated execution, the OpenStack resources might be eventually removed. Note that the results are documented per scenario basis. Although most of the test cases might show the same output, some of them are not supported by certain scenario. Please select the appropriate scenario and compare the results to the referenced in the documentation. This section covers the test cases related to the VIM (vPing, Tempest, Rally). The run_tests.sh script is basically calling internally the corresponding vPing scripts, located in $repos_dir/functest/testcases/vPing/CI/libraries/vPing_ssh.py and $repos_dir/functest/testcases/vPing/CI/libraries/vPing_userdata.py with the appropriate flags. If this is displayed, stop the test or wait for it to finish (if you have used the flag -n in run_tests.sh explained previously) so that the test does not clean the OpenStack resources. It means that the Container can not reach the public IP assigned to the instance opnfv-vping-2. There are many possible reasons, and they really depend on the chosen scenario. For most of the ODL-L3 and ONOS scenarios this has been noticed and it is a known limitation. NOTE: Cloud-init in not supported on scenario dealing with ONOS and the tests have been excluded from CI in those scenarios. OpenStack components or services are missing or not configured properly Check running services in the controller and compute nodes (e.g. with “systemctl” or “service” commands). Configuration parameters can be verified from related .conf files located under /etc/<component> directories. Some resources required for execution test cases are missing The tempest.conf file, automatically generated by Rally in Functest, does not contain all the needed parameters or some parameters are not set properly. The tempest.conf file is located in /home/opnfv /.rally/tempest/for-deployment-<UUID> in Functest container Use “rally deployment list” command in order to check UUID of current deployment. When some Tempest test case fails, captured traceback and possibly also related REST API requests/responses are output to the console. More detailed debug information can be found from tempest.log file stored into related Rally deployment folder. Same error causes than for Tempest mentioned above may lead to errors in Rally. To know more about what those scenarios are doing, they are defined in: $repos_dir/functest/testcases/VIM/OpenStack/CI/suites. For more info about Rally scenario definition please refer to the Rally official documentation. If the flag all is specified, it will run all the scenarios one by one. Please note that this might take some time (~1,5hr), taking around 1 hour to complete the Nova scenario. To check any possible problems with rally, the logs are stored under /home/opnfv/functest/results/rally/ in the Functest container. The upstream test suites have not been adapted, so you may get 18 or 15 tests passed on 18 depending on your configuration. The 3 testcases are partly failed due to wrong return code. Please refer to the ONOS documentation. Please refer to the Promise documentation. Please refer to the SNVPN documentation.